This haunting painting of a lone figure amid an eerie landscape is the work of Chinese artist Mu Xin. The distant mountains, the foreground undergrowth, even the seated man, are created out of abstract blushes of ink which your eye somehow configures into realistic forms. But what makes this painting truly remarkable is not the technique; it is the circumstances under which it was created. In 1971, at the height of Mao Zedong’s Cultural Revolution, Mu Xin was imprisoned for his ‘counter revolutionary tendencies’. His life’s work of over five hundred paintings and twenty volumes of writings was destroyed and he was thrown into solitary confinement. Each week his captors would provide him with paper on which to write his thoughts on how he might become a better communist. Mu Xin provided his gaolers with just enough penitent scribblings to satisfy them and to ensure that they kept returning with supplies of paper - unbeknown to them he was hiding as much of the paper as he could get away with in his cell. Late at night, once the rest of the prison was asleep, in spite of the pain in his three broken fingers and the certainty of execution should he be discovered, he began to paint. I tell the story of Mu Xin not just because I think it deserves a wider audience, but also because it illustrates a deeper truth: no matter how severe the constraints upon us, there is always a way to create. For those of us fortunate enough not to live under a despotic regime, the most common perceived limitation to our creativity is not space but time. How on earth would I find time to write, to paint, to photograph when I have work, kids, modern life to deal with …? We tell ourselves there is no time and so our creative ambitions remain unfulfilled. Yet this is of course a self-serving delusion. The trick is to align your creative ambitions with your circumstances. 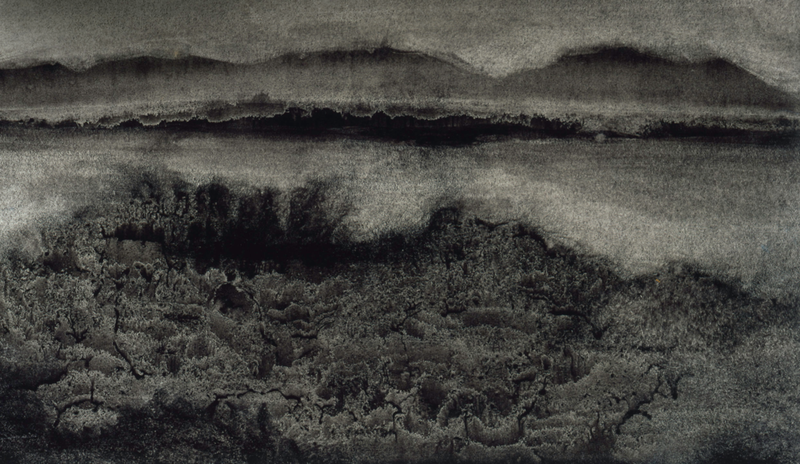 Once imprisoned, Mu Xin no longer had the full range of artists’ materials he’d used in his studio, so he developed a technique for painting using his illicit store of paper and washes of ink from the pens he’d been given for confessing. These limitations led to the unique visual character and atmosphere of his dramatic prison landscapes. How might you take advantage of your own constraints to begin making the kind of work you’ve always longed to make? Deep down you know there is a way. And once you find it, you’re no longer a slave, you’re a prince.